Below you can access the personal profiles of members who offer their services direct to the public and have provided information about themselves to assist you in finding a suitable practitioner for your needs. 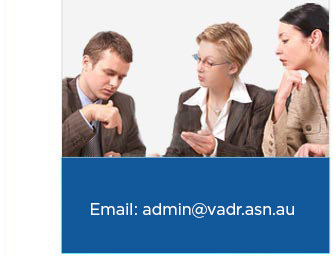 VADR members embrace a range of dispute resolution methods such as mediation, conciliation, arbitration, negotiation, facilitation and collaborative law. Please contact these members directly for further information.